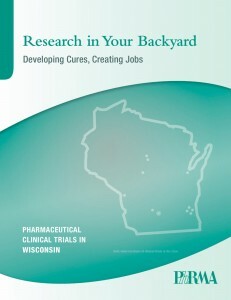 In 2010, Wisconsin was home to 1,311 active clinical trials. That’s nearly 9% of the 15,134 clinical trials in the United States. In Wisconsin, biopharmaceutical research firms invested $114.2 million in research and development in 2008. In 2008, the biopharmaceutical industry supported more than 43,000 jobs throughout the state – 6,440 directly in the sector and 36,708 in other sectors. Wisconsin biopharmaceutical employees earned $350.3 million in 2008, providing $16.8 million in state taxes and $78.2 million in federal taxes.